Ararat Rural City Council has awarded the tender for the redevelopment of the Willaura Hall to local contractor Andrew Eastick Homes. The redevelopment will deliver new male, female and accessible toilets, including a baby change facility. A fully accessible ramp to the front of the building will also be constructed as part of the works. Ararat Rural City Council Mayor, Cr Gwenda Allgood said upgrades to the Willaura Hall were one of the main highlights in this year’s Council Plan. “Council is proud to continue to invest in our rural towns in key facilities like community halls,” she said. The project group – consisting of members from the Hall Committee, Council Officers and the Architect – have met regularly over the course of the last 12 months in bringing the plans for this project to fruition. 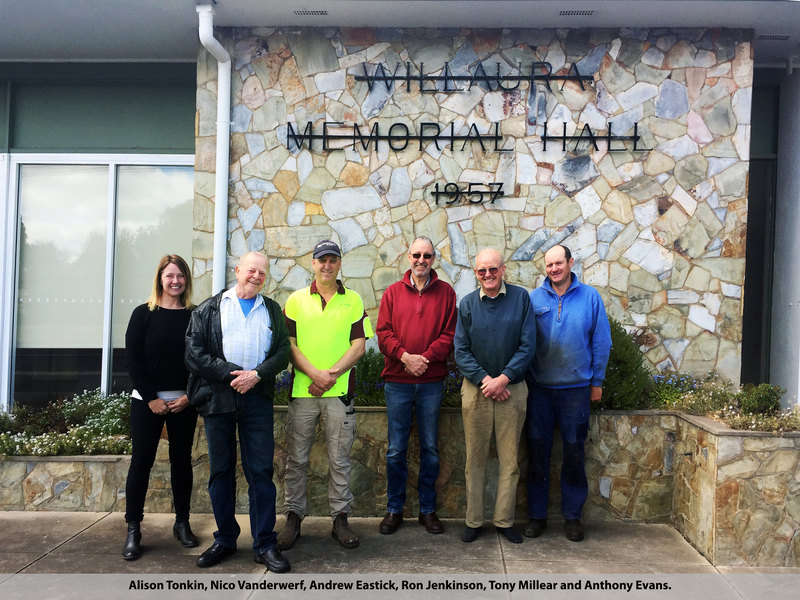 The Willaura Hall Committee of Management recently met Andrew Eastick on site and welcome the works commencing in the coming month. This group will continue to meet regularly over the course of the construction period. Ararat Rural City Council is fully funding the project.